Sometimes we spend our days in a fog, desperate to get away on holiday but it’s a long time to wait, keen to get a break from the family or kids, you want to see a life coach over several weeks months, but you’re caught up in that rat race always on culture so can’t commit to regular sessions over several weeks because your boss is in control of your diary. Moments in all our lives when we need to take the time to explore how we can evolve our relationships, our careers and ourselves for the better. Moments when we need to reflect upon the well-being of our minds, as well as our bodies. Moments when we need to understand that we each have within us the capacity to feel more focused, more fulfilled, more fit to take on the challenges and stresses of every day. We are your mind wellness destination, personalised mind wellness days. To discover and live your life purpose. 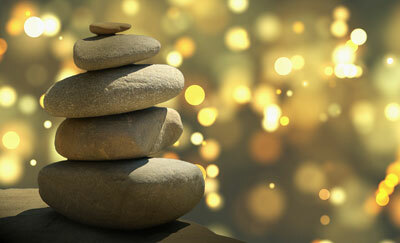 Personalised Mind Wellness sessions are a remarkable opportunity to spend half a day or a full day taking care of YOU. Before you come, we communicate – via email or over the phone - about where you are in your life and where you’d like to be. Then we custom design a day of bespoke personal interactive exercises and relaxation techniques to help you explore your subject or concern, reflect on how it affects you, and understand how to go forward and create change in your everyday personal and professional life. Understanding your stress and learning to manage it. Evaluating a business or career and setting professional goals. Addressing the balance between work and the rest of your life. Beginning, ending or simply understanding a relationship. These are a few examples, but everyone is unique. Tell us what you’d like to explore, and we will create the strategy for you to achieve your goals. You will leave with greatly increased clarity of mind, batteries fully recharged, succinct goals and a customised strategy for achieving them. We also recommend follow up professional coaching or integrative therapy session to increase the value of your mind wellness day. "A Day At The Mind Spa is an absolute pleasure to be associated with. Mike he is compassionate, intuitive and inspirational. When you combine those highly valued intangible elements with Mike's impeccable professionalism and knowledge, you get a truly remarkable experience. I am always impressed with my interaction with Mike. he listens impassionedly and responds to questions and addresses my concerns effectively. He makes my life a lot easier." Complete the form below and we’ll contact you to book in your free corporate wellness consultation. Please complete the form below and we will contact you to arrange your FREE consultation.